Welcome to Decks by Midwest BuildIt Inc.
Each year hundreds of people are injured in this country as a result of deck failures. Deck failures are most often caused by faulty construction methods, unsuitable or improper materials and/or by lack of maintenance. If constructed and maintained properly, decks rarely collapse due to overloading. Remember, decks are composed of natural materials exposed to weather, and, as a result, will not last forever. Midwest BuildIt, serving Illinois for 15 years as a contractor whose specialty is wood and vinyl deck construction and repairs . Whenever you build or make structural repairs to a deck, it is important to make sure that the repairs are done by an expert deck builder and to obtain the proper permits (If required) to ensure your family and guests enjoy your deck without worry of failure or collapse. As a home owner there are some simple things you can do which may help prevent unexpected problems with your deck. Use the checklist below to help you inspect your deck for possible unsafe conditions. 1. Check support posts and beams for rot, splitting or abnormal movement. 2. Closely check the attachment points between the deck and the house. Are they more than 16" apart? They shouldn't be! 3. Check all fasteners, bolts, joist hangers and other hardware for rust and/or corrosion. 4. Check all guards and rails to be sure they are sturdy and secured. 5. Use grills, heaters and outdoor fire pits with care. WE HAVE NO SALES PEOPLE...NO SUBCONTRACTORS.. OUR ESTIMATE INCLUDES A FREE NO OBLIGATION CONSULTATION TO SUPPLY THE CUSTOMER WITH A THOROUGH EVALUATION OF THEIR PROJECT. WE HAVE 15 YEARS OF DECK KNOWLEDGE, WITH HUNDREDS OF DESIGNS, PLANS AND DECKING OPTIONS TO CHOOSE FROM, WE CAN BRING YOU SAMPLES OF ALL OF OUR PRODUCTS TO CHOOSE FROM. 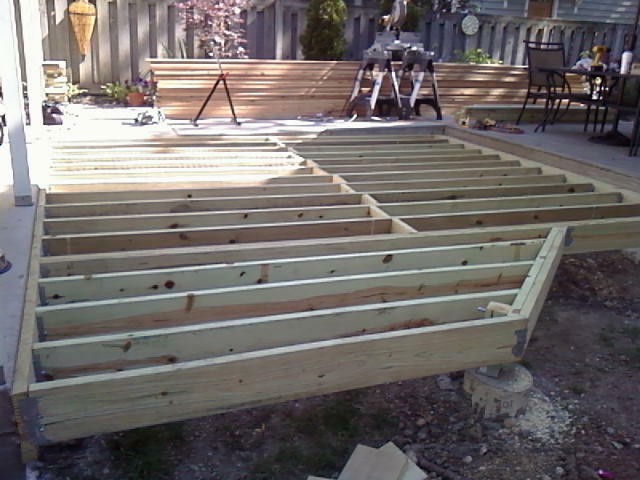 MOST OF ALL, MEET IN PERSON, THE CARPENTER WHO WILL ACTUALLY BE THE ONE TO CONSTRUCT YOUR DREAM DECK...NOT A SALESMAN! CALL US TODAY FOR YOUR FREE NO OBLIGATION ESTIMATE. EVEN IF YOU DECIDE NOT TO CONTRACT WITH US, YOU WILL GET A FREE ESTIMATE. Cedar deck West Chicago il. 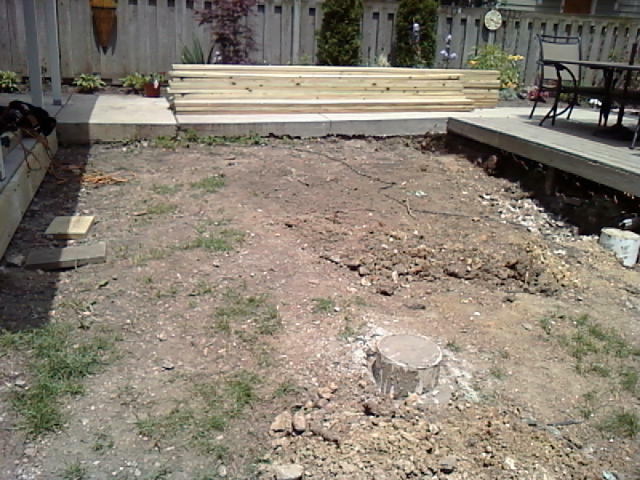 Spa Deck rebuild Warrenville il. Trex pool Stairs Oswego il. More Projects and Pictures coming.